New Delhi: When the Berlin Wall fell in 1989, global politics changed. When the World Trade Center fell in 2001, global relations changed. When Wall Street fell in 2008, it changed global finance. I have lived through each of these momentous events—they shaped who I am, what I think and how I envision the future. September 2008: A moment etched in my memory. A time of a synchronized global mayhem. As a global hedge-fund manager, I had many screens around me—all drenched in red. Equities, debt, derivatives, emerging markets, developed countries, there was no place to hide— every investor just wanted out. Enduring institutions such as Bear Stearns Companies and Lehman Brothers Holdings vanished and even blue-chip names such as Morgan Stanley, Goldman Sachs Group and Merrill Lynch & Co. teetered on the edge. The picture was similar in Europe: famous old financial institutions such as Royal Bank of Scotland, Fortis and Lloyds Banking Group were facing catastrophe. A decade later, I find that three interventions have influenced me the most. Each intervention demonstrates how decisive action can calm the panic and bring confidence back into the system. These interventions came from a legendary investor, a policymaking dream team and a union of nations defending their economic sovereignty. First, Warren Buffett invested $5 billion in Goldman Sachs at the peak of the crisis in September 2008. This came soon after many investment banks had to shut shop, thus triggering domino effects of unravelling credit all over the globe. Second, the Troubled Assets Relief Program (TARP), a $700 billion fund, was created by the US government in October 2008 to purchase toxic assets from financial institutions. It sought to strengthen the financial sector and avoid the impact of the Wall Street spilling on to the Main Street. Third, Mario Draghi, president of the European Central Bank (ECB), said in July 2012, “Within our mandate, the ECB is ready to do whatever it takes to preserve the euro. And believe me, it will be enough." This calmed the markets and steadied the currency of the European Union. The world’s decision makers addressed the crisis magnificently with coordinated policy actions such as takeovers of financial institutions, massive doses of liquidity and synchronized quantitative easing. A global catastrophe was avoided; we escaped a Great Depression, though we did end up with a Great Recession. This Great Recession avoided the terrible negative consequences that the world saw in the Great Depression of the 1930s, nonetheless it still left damaging wounds. While several of these wounds have now healed, there are still some that have half-healed, and it is those that we will still need to manage. The global financial system has seen a crisis virtually once a decade or so. The crisis is different every time. We do not know where the next one will come from. There are many risks that could result in a global crisis including geopolitical events, the slowly building global credit bubble, new toxic derivatives that we do not know about and impending global trade wars. Or there are simply unknown unknowns. Therefore, we must be vigilant in terms of our risk management. When the crisis comes, it will require swift coordinated global action and synchronized policymaking; many of the necessary multilateral arrangements are in place already and they will likely see us all through. More importantly, in the past four years, our government has undertaken bold structural reforms to revive our economy and make it much more resilient to global shocks. These reforms include: the Insolvency and Bankruptcy Code, the goods and services tax, the monetary policy committee to control inflation, revamping of the public finance system, the Jan Arogya Yojana healthcare network, a robust social security system and a massive infrastructure build-out. As a result, we have stabilized the macroeconomy and reformed the micro-economics of multiple sectors. Our tax-to-GDP ratio is up, fiscal deficit and inflation rates are down and GDP growth rate is the highest among the large economies of the world. Robust job creation is happening across many sectors and millions of people are being employed in innovative, fast-growing entrepreneurial companies. Rural and urban consumption is booming and investment is strong across factories, networks and people. Though dark clouds are looming once again over the global economy, we have fixed the roof while the sun was shining. 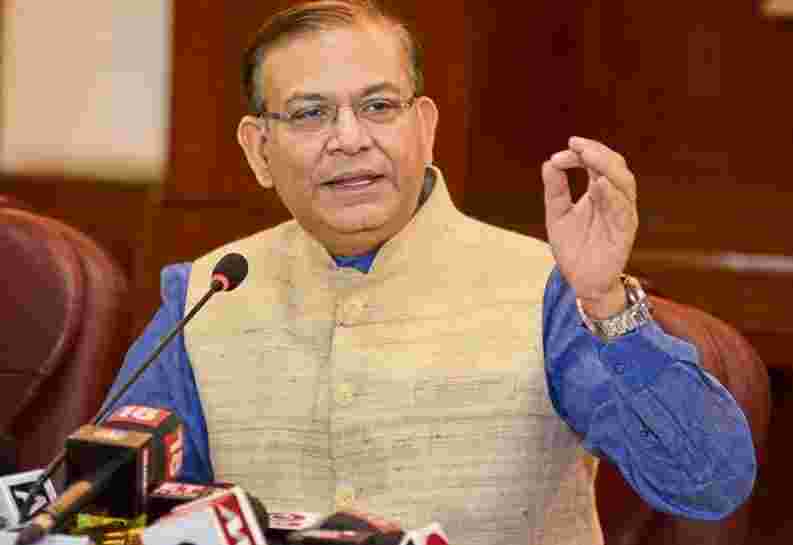 Jayant Sinha is minister of state for civil aviation and a member of Parliament from Hazaribagh, Jharkhand. These are his personal views.